Timber buildings are growing in popularity, but are they safe? Builders in Oregon will break ground early next year on this country's tallest building made primarily of wood. The 12-story, 60-unit apartment complex in Portland called Framework is part of a national boom in wood construction, but some fire experts are raising alarms about the safety of these structures. 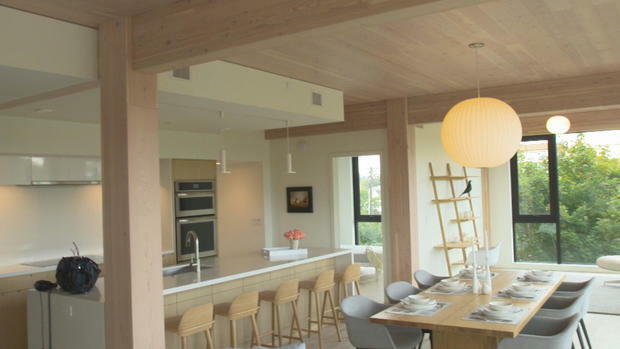 For a century, there was no safe alternative to concrete and steel but now some architects are turning to compressed wood for its surprising strength and beauty, reports CBS News correspondent Tony Dokoupil. 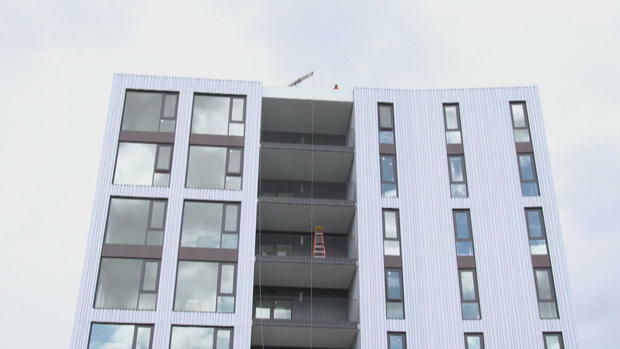 It's hard to tell from the outside, but a nearly finished, eight-story condominium complete with million-dollar apartments and picturesque views is the latest milestone in wood construction. The Portland building, known as Carbon12, is part of a global boom in wood construction including major projects in Minneapolis, Vancouver and London. But Glen Corbett, a fire science professor at John Jay College, thinks wood could fuel an inferno that firefighters can't fight -- like the deadly Grenfell fire in London, which climbed the building's aluminum cladding. Asked if a wood high rise could go up in flames the way Grenfell did, Corbett said, "Yeah, because once it's over the 10th or 15th story of a building, no way to put water on it. It's unstoppable basically," Corbett said. Architect Peter Weismantle, who helped design the world's tallest building, also worries that more wood could mean more fire if codes aren't strictly enforced. "We have got a responsibility to think about all the unthinkable things. So I'm glad there are advocates for timber. But there need to be reasonable control and understanding applied to it," Weismantle said. Thomas Robinson is the lead architect for Framework, another building in Portland. At 148 feet, it's expected to surpass Carbon12 as the tallest wood building in America. It's designed with cross-laminated timber, which Robinson said is actually fire-resistant. To get a building permit, in fact, the material had to survive two hours in a furnace at 2,000 degrees. He showed us what remained of the wood. "It would still hold. It just shows you how the structure is durable," Robinson said. So durable, in fact, Robinson thinks we'll start seeing the material "all over." The latest wood buildings come together a bit like a ready-made cabinet. The pieces are pre-cut and assembled quickly. Framework still won't be done until 2019, but Carbon12 could be ready as soon this month and when it opens, it will be a record holder.